[10 mins. 23 secs.] Kelly Reichardt's 5th feature film, "Night Moves", is the focus of this Fandor sponsored episode of Filmwax Radio. The film premieres in theaters on Friday, May 30th and is about a trio of passionate environmentalists —or eco terrorists depending on your perspective— who plan to bomb a hydroelectric dam in Oregon. The trio of main characters are played by Jesse Eisenberg ("The Double", "The Social Network"), Dakota Fanning ("The Runaways") & Peter Sarsgaard. 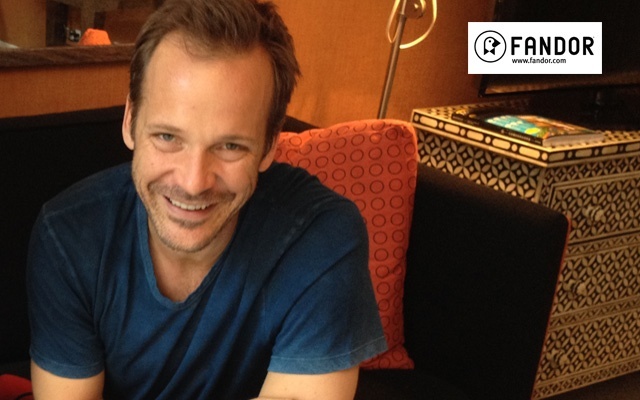 Mr. Sarsgaard and director Reichardt appear on this episode of the podcast. Co-written by Kelly Reichardt and Jonathan Raymond, Night Moves was shown in the main competition section of the 70th Venice International Film Festival, at the 2013 Toronto International Film Festival and, most recently, at the Tribeca Film Festival. It also was the winner of the Grand Prix at the 39th Deauville American Film Festival last year. Kelly Reichardt's prior three films, including "Old Joy" (2006), "Wendy and Lucy" (2008), & "Meek's Cutoff" (2010), may be streamed on Fandor. [25 mins. 15 secs.] The other guest is actor Peter Saarsgaard ("An Education", "Blue Jasmine") plays radical environmentalist Harmon in the film.